The December jobs report was great, as measured by the raw number of payrolls created last month. All told, the 312,000 new jobs added in December was the best tally since February, and the second-best progress seen since mid-2016. If instead, your yardstick is the unemployment rate, the picture isn't quite as encouraging. Despite the huge number of newly-created payrolls, the unemployment rate ticked up from 3.7% to 3.9%, even shocking most experts. Yet, overall, the report is being viewed as a resounding victory. What gives? It's an employment report that most definitely merits a closer look at the details that generally get skipped on the first Friday of every month, as they usually don't add much perspective to the matter. This is a case though, in our current and unusual situation, where the proverbial 'rest of the story' rectifies the mixed message. 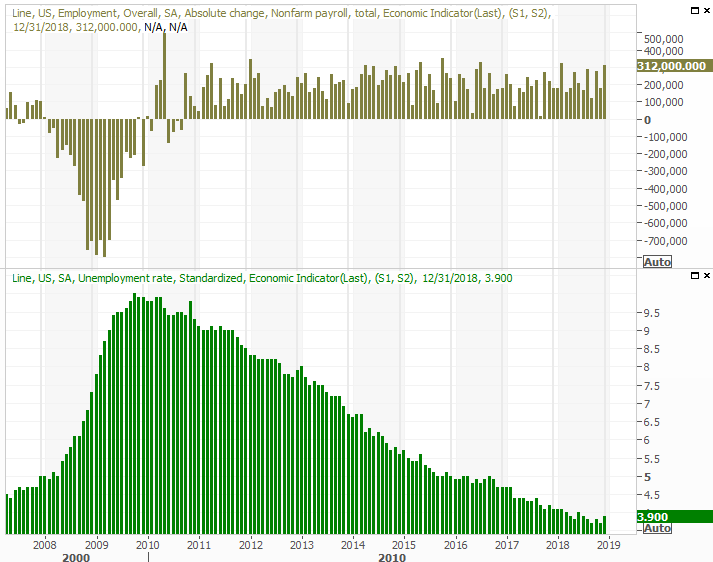 Yes, job growth was incredible, but the unemployment rate pushed higher anyway. That basic data is rounded out (and partially explained) by a cursory look at the underlying numbers. That is, how many people are working, how many people in the U.S. are officially unemployed, and how many people in the United States aren't technically counted as being unemployed - because they're not receiving unemployment benefits - but want a job anyway? 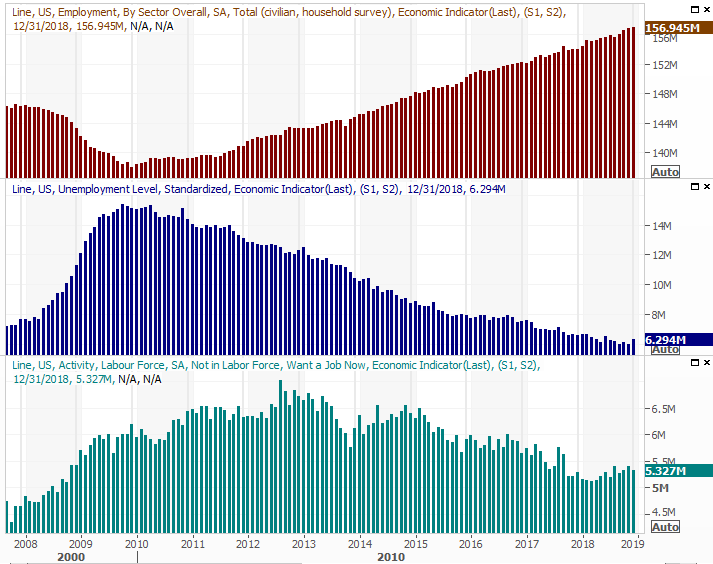 As of the end of last month, a record-breaking 156.95 million U.S. residents have jobs, and the number of unofficially-unemployed people actually fell from 5.4 million to 5.33 million. But, the number of people who've been recently displaced from the workforce actually ticked up, from 6.0 million to 6.3 million. It's this last group - the 6.3 million people receiving official unemployment benefits - that explains the increased unemployment rate... almost. The 312,000 new jobs were largely filled by people who weren't officially unemployed, or who had only recently joined (or re-joined) the workforce. The unemployment rate, however, is calculated by dividing the 6.3 million unemployed people by the total number of people actively in the workforce... working or not. That number got a whole lot bigger last month.